Among the many great figures in Jewish history, Rabbi Akiva arguably represents a combination of everything that is heroic about the Jewish people more than anyone else. At the least, he is one of the most beloved figures in Jewish history, a person whose influence and stature is a source of inspiration throughout all of the ages. Whatever one says about Rabbi Akiva one can never say enough. The Talmud (Menachos 29a) compares him favorably to Moses, which is the ultimate compliment in the Jewish lexicon. He is the national hero of the Jewish people for all time. First, Rabbi Akiva represents every man, so to speak. He did not descend from Jewish aristocracy or nobility (see Berachos 27a). He came from a family of converts. There is an opinion that his father was a convert. If not his father, then certainly his grandfather was. Not only that, but he descended from the evil general Sisera, who was the persecutor of the Jews at the time of Deborah. The rabbis tell us that the descendants of Sisera, Nebuchadnezzar and even Haman studied Torah and became prominent Jews. In our time also there are descendants of German officers and SS, as well as descendants of Communists, whose found their way to the Jewish people, and even in areas of prominence in the Torah world. Nevertheless, Rabbi Akiva’s lineage created a social handicap. 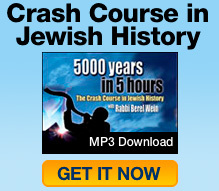 It says to be careful of converts 36 times in the Torah. There is no mitzvah that is repeated so many times. The reason is because it is human nature to be clannish, to not like outsiders. Therefore, the Torah emphasizes over and over again that we also are strangers (as though we need that reminder). Nevertheless, apparently we do need that reminder because sometimes we behave that way towards others. Although Rabbi Akiva began life handicapped in the sense that he lacked pedigree in a society that honored pedigree, he turned it into a positive by becoming the symbol of “every man” who has within him the ability to rise above his limitations and become truly great. Rabbi Akiva had a second great handicap. During the first 40 years of his life he was unlettered and unschooled. Imagine! A scholar so great that he would be compared to Moses was an illiterate man in mid-life! He had to go with his young child to school to learn to read the Hebrew alphabet. And not only was he unlearned, but resentful of those who were. The Talmud records him as saying that he had such hatred for Torah scholars during those years that had he had the chance he would have bitten them like a wild donkey (Pesachim 49b). While still illiterate, Akiva became chief shepherd to one of the wealthiest men in Israel, Kalba Savuah (so named because anyone who entered his house hungry like a dog, kalba, went out satiated, savua). Once, he chanced to meet Kalba Savua’s daughter, Rachel, who was so impressed with his character that she consented to marry him — on the condition that he would devote himself to Torah study. When the wealthy father-in-law learned of their marriage he disinherited them, and the couple lived in dire poverty (Nedarim 50a). However, Rachel continued to believe in him and encouraged him to leave home to study Torah, as was the custom. He left for 12 years and then returned. Before greeting his wife, he overheard her say to a neighbor, “If he wants to go back for another twelve years I would gladly agree to it.” He then returned to his studies for another 12 years. In those 24 years he studied under great men like Rabbi Eliezer ben Horkenus and Rabbi Joshua ben Hannaniah. Even Rabbi Tarfon, whom we meet all the time in the Talmud with Rabbi Akiva, originally was his teacher. Nevertheless, Rabbi Akiva rose to become a colleague with them. He rose because of his great tenacity… because water wears down rock. After 24 years, he returned home with 24,000 students, head of the largest yeshiva in the land of Israel. Although his reputation preceded him, Kalba Savua did not know that the great man coming to town was his son-in-law, Akiva. Nevertheless, he had been harboring regrets over his vow to disinherit his daughter and decided ask the great man if he could annul his vow. “Had you known that her husband would become a great man, would you have vowed?” Rabbi Akiva asked him. “Why, if he even knew one chapter, even one law!” Kalba Savua answered. He bowed and kissed him on his feet, and gave him half his assets (Kesuvos 62b-63a). The Talmud (Nedarim 50a-b) said that during the course of his life Rabbi Akiva became wealthy from three different sources. The first was from his father-in-law, Kalba Savuah. The second was from a shipwreck. There had been a large treasure hidden in the front part of the ship and when it washed up on shore Rabbi Akiva found it. The third source of his wealth came from his third wife. After Rachel died, he married the widow of the Roman procurator, Turnus Rufus (“Turnus” meaning “Tyrannus”), who was brutal to the Jews. Nevertheless, his wife had a different soul and after he died she converted to Judaism. Rabbi Akiva eventually married her, and she brought with her the wealth of Turnus Rufus. Rabbi Akiva was a wealthy man from different sources, but it was not the wealth that made the man. It was Rabbi Akiva that made Rabbi Akiva. It was his inner wealth that made Rabbi Akiva. Rabbi Akiva was wont to say: “Love your fellow man as yourself – this is the great rule in the Torah.” He fulfilled it in many ways. No one dispensed more charity than he. He was in charge of the charity organizations and supported all the poor people. Rabbi Akiva’s favorite maxim was, “All that God does He does for the good.” Once, after he was unable to find any place to sleep in a certain city, he passed the night alone in the forest and repeated his maxim calmly, “All that God does is for the good.” Then, one after another, a lion devoured his donkey, a cat killed his rooster and the wind extinguished his candle. Each time he said, “All that God does is for the good.” When dawn arrived he discovered that a band of robbers had fallen upon the city and carried its inhabitants into captivity. Only he had escaped because his donkey and rooster were not around to make any noises and his extinguished candle did not give away his location (Berachos 60b). Rabbi Akiva’s teacher was Nachum Ish Gamzu, who would always say, “This too is for the good.” Rabbi Akiva similarly lived by the rule that whatever happens is for the good. He furthermore understood that from the bad good can come. From the problems, from the adversity, we can build it into something good. Therefore, we find that Rabbi Akiva laughs when others weep. While Rabbi Akiva was walking with some colleagues they came upon the Temple in its destroyed state. The other rabbis that were with him wept, but Rabbi Akiva laughed. “Why are you laughing?” they asked. “Why are you weeping?” he replied. Rabbi Akiva said: “Beloved are sufferings” – a person should appreciate troubles, because from the troubles we grow. Without troubles a person does not access the deepest recesses of his potential. A great person becomes greater from great troubles. That was Rabbi Akiva’s view on life. That was Rabbi Akiva. Although Rabbi Akiva suffered greatly in his life and experienced many calamitous events, arguably the worst was the disastrous Bar Kochba rebellion. Indeed, he was one of the leading supporters of Bar Kochba and declared him to be the Messiah. One might have thought that after the debacle of Bar Kochba Rabbi Akiva would fall apart, especially considering that he was a very old man by then, well over 100 years old. He had every reason to go to his death quietly. His students, who stood nearby as the Romans were flaying flesh with iron combs, asked, “Even till now?” Are you still thinking about your obligations to God even at this horrific, tragic moment? Then, “he died with the word One” on his lips, the Talmud (Berachos 61b) says. According to legend, Elijah the Prophet came together with his students and took his remains from the field of execution to a cave outside of the city of Tiberius, which is today the traditional place that we mark as the burial place of Rabbi Akiva. However, Rabbi Akiva is not dead. Rabbi Akiva is alive within each and every one of us. Every hero and martyr that the Jewish people have had since is Rabbi Akiva. Every moment of love is Rabbi Akiva. Every piece of Torah is Rabbi Akiva. That is why the Jewish world treasures him. That is why he is the hero of heroes. He possessed all of the great human traits that the Jewish people possess: love, compassion, warmth, humor, etc. He became every Jew at his best even under the darkest circumstances. He became the person who whose humanity is victorious in the end despite unparalleled suffering. He became the water that wears down stone. It always bothers me how is it that a great sage like Rabbi Akiva was able to mistake Bar Kochva for the Messiah?! Wouldn’t the rabbis of those times not fall for such things even if bar Kochva was an exceptional person? The other rabbis of the era openly disagreed with Rabbi Akiva’s assessment. Even great people can make an erroneous judgment on political and national issues. We do not have infallible people in Judaism. R. Akiva, I love you! He is probably the greatest Jewish Rabbi. Everyone has a lot to learn from him. Although he proclaimed Bar Kochva to be the Messiah, he later retracted this opinion. It was recommended to me that I look up Rabbi Akiva after a discussion about an obstacle I have been experiencing. I am glad the recommendation was made, and I acted on it. Theology dissolves in the light of this man’s insight and willingness to live it. If I can muster a morsel of Rabbi Akiva’s strength, my obstacle will certainly dissolve. I am inspired by this! Rabbi Akiva, I read this article on the 4th day of Hanukah 5773… You are an inspiration in my life, and a light that will illuminate forever. I recently experienced the power of the spirit of G-d that graced Rabbi Akiva while visiting his tomb. However it was incomplete until it was linked with visiting the tomb of his wife Rachel and feeling the great power of love which allowed the grace to descend on Akiva and illuminate his potential. In these two place the Shema became the prayer to unite the people of Israel; the Jews, the Israelis, and ‘Israel’ as it refers to all people who serve the One G-d. If Rabbi Akiva began learning Torah at age 40, would this be after the destruction of the Temple? Kalbah Savua was a wealthy man in Jerusalem, but wasn’t Jerusalem destroyed at the time Akiva married Rachel? Grammatically, wouldn’t it be more correct to call Kalba Savua “Kelev” Savua? Why is he likened to a female dog for his hospitality and not a male dog? it was not a mistake: Bar Kochba seriously did have the potential to be Messiah. We, as Jews, believe that in every generation there is someone worthy of being Messiah – and if Rabbi Akiva thought it was Bar Kochba – it must’ve been. but he snapped. he fell to the temptation of haughtiness. It was in my 40th year of life, that I celebrated my Bar Mitzvah, chanting Haftarah Shemot – Isaiah’s rebuke to the drunken priests and prophets that profaned his epoch. I have always identified with Rabbi Akiva, thinking if such a great man could begin his illustrious Jewish persona at age 40, then I can begin learning, too. This Shabbat, at age 70, I will once again chant that memorable Haftarah, steeped much more in Judaism than I was back in 1974. It was refreshing and inspirational to read this brief synopsis of R. Akiva’s life. I’m grateful to the writer for this gift of his scholarship. I think that everyone, no matter what religion or race or personality, can learn a little something from Rabbi Akiva.